Last night was my girls night in with the London Bestie. A night filled with laughter, food and films. Perfect to start the weekend! We decided earlier this week we were going to make homemade pizzas on our girls night in, as a treat, and watch chick flicks. Heather had never seen Pitch Perfect…I was shocked! It is an amazing girly film I would recommend if you’re looking for a great musical chick flick. All the songs are catchy, and it has a great story line – When I went home for the weekend before Christmas, the family had been drinking a little, and had Pitch Perfect in the dvd player fast forwarding to the songs to sing along. Evidence it goes down well with everyone – Aunties, Cousins, Mums, I even think my uncle may have sang along to some of it! For our pizzas we stopped at Sainsburys on the way home, only to find out they didn’t have any pizza base mix!!! We were devastated. 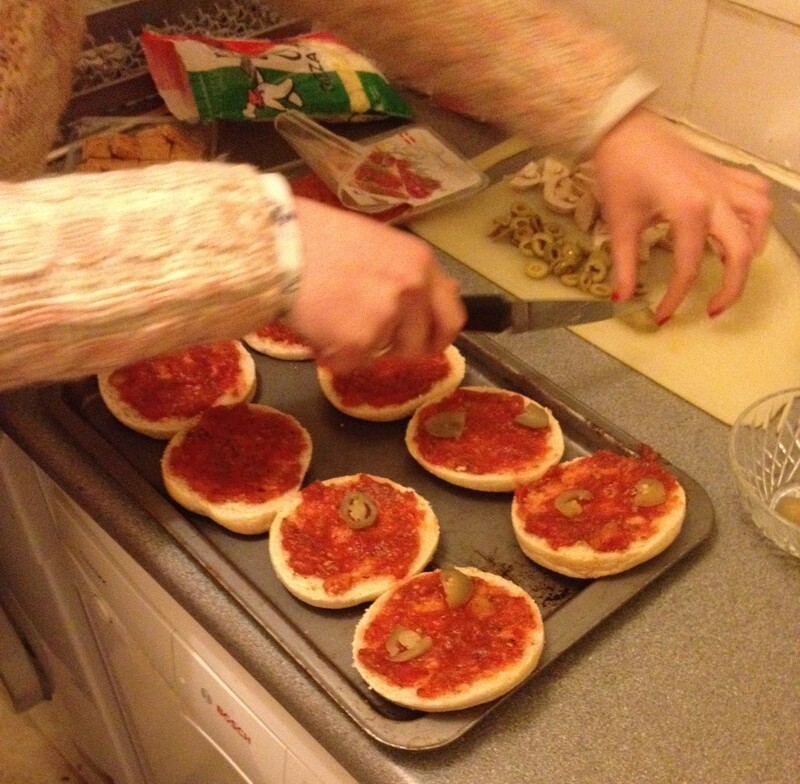 But suddenly had a couple brainwaves – For the pizza base we could use plain scone base or english muffins. This was a difficult decision as we are little perfectionists and wanted delicious pizzas. We decided English Muffins – Only 90p, can’t go wrong! 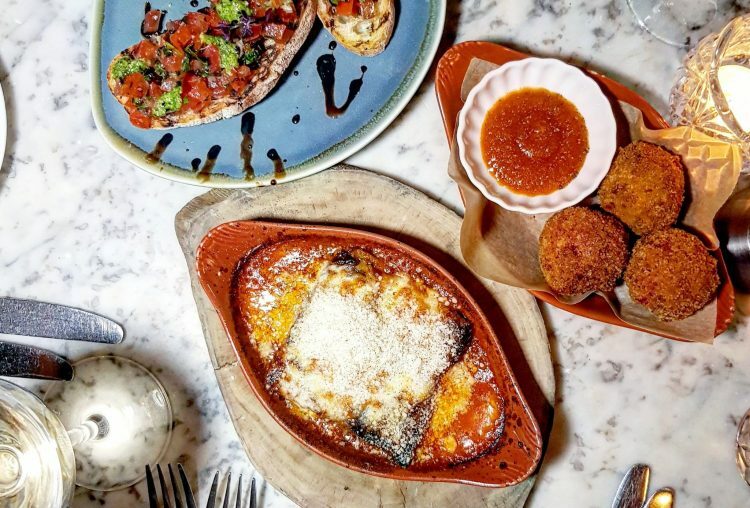 We bought chopped tomatoes as these work lots better for the tomato base than tomato puree, and the toppings we wanted for our pizza – You can us pretty much anything you want. 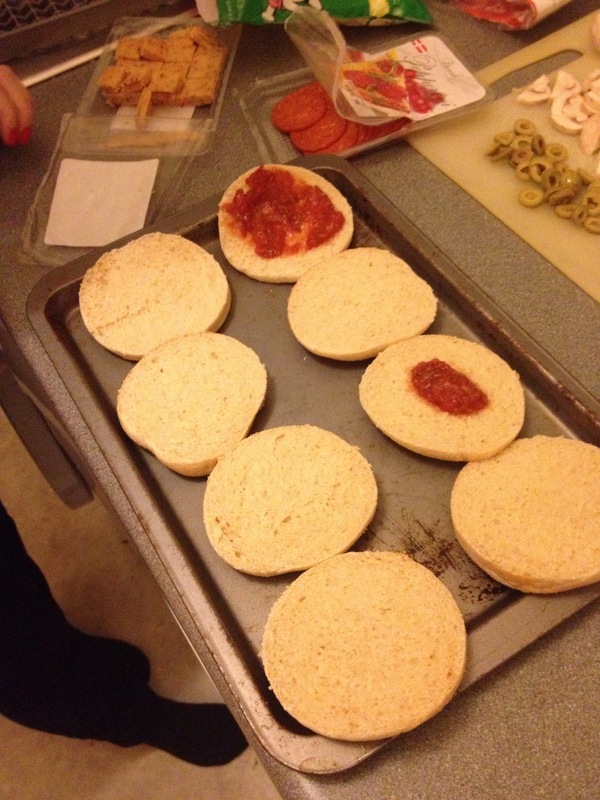 To make our mini pizzas we sliced the english muffins in half (each muffin makes two pizzas) and laid them out on a baking tray. We put chopped tomatoes in a jug and beat them, adding herbs, for the tomato base. We prepared all the toppings ready so we could get to work on our pizza-creations. We each took half the pizzas and started spreading the tomato base. We added the jalapenos (we like a bit of a kick to our food), and then sprinkled pizza cheese on top. We placed our toppings (we chose pepperoni, olives and mushrooms) on top of the cheese, and placed some hot and spicy cheese (we found this in the 99p shop, which made our day. But I know Sainsburys do jalapeno cheese squares) on top of the toppings. 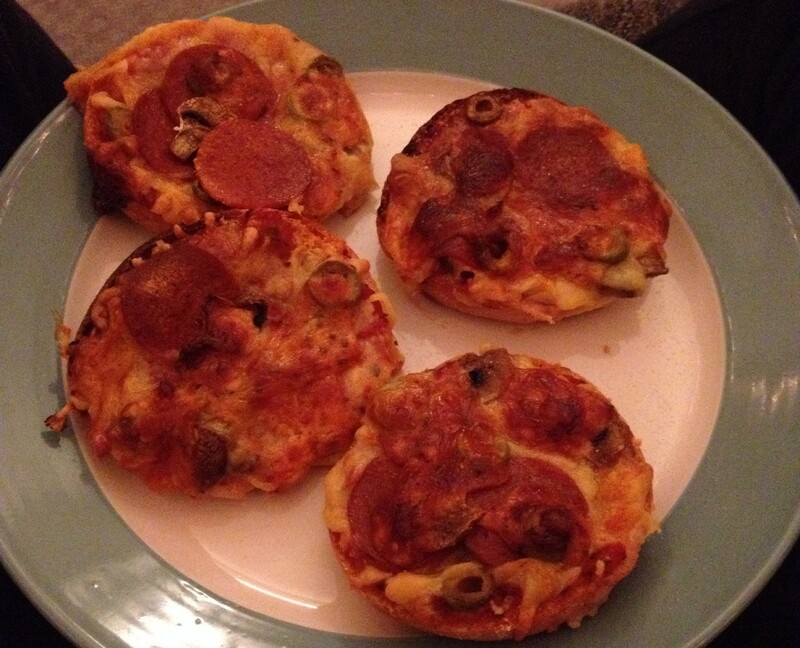 We baked the mini pizzas on Gas Mark 5, for about 25 minutes to make sure the pizzas were cooked all the way through and that the edges were a little crispy. Our Verdict – Speechless. We were too busy eating! I wanted to share this little creation with everyone as I believe anyone could do this. It is so simple and fun, and you can choose whatever you want to put on them. We will most certainly be making these scrumptious treats again. It would also be great for doing with children – Children love to make their own food. I remember making pizza with my Grandma when I was little; me, my sister and brother used to love this, definitely a memory which sticks out! New Year – Let’s BLOG! 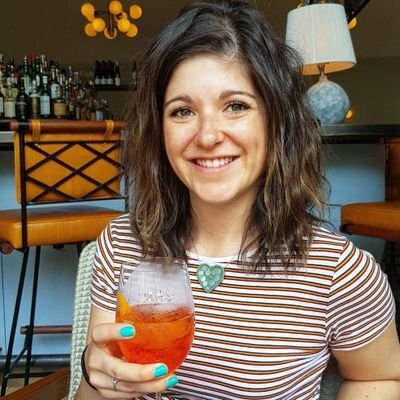 Life|| How it feels when you find out you’re going to be an Auntie!